Ships today if you order in the next 3 hours 32 minutes. 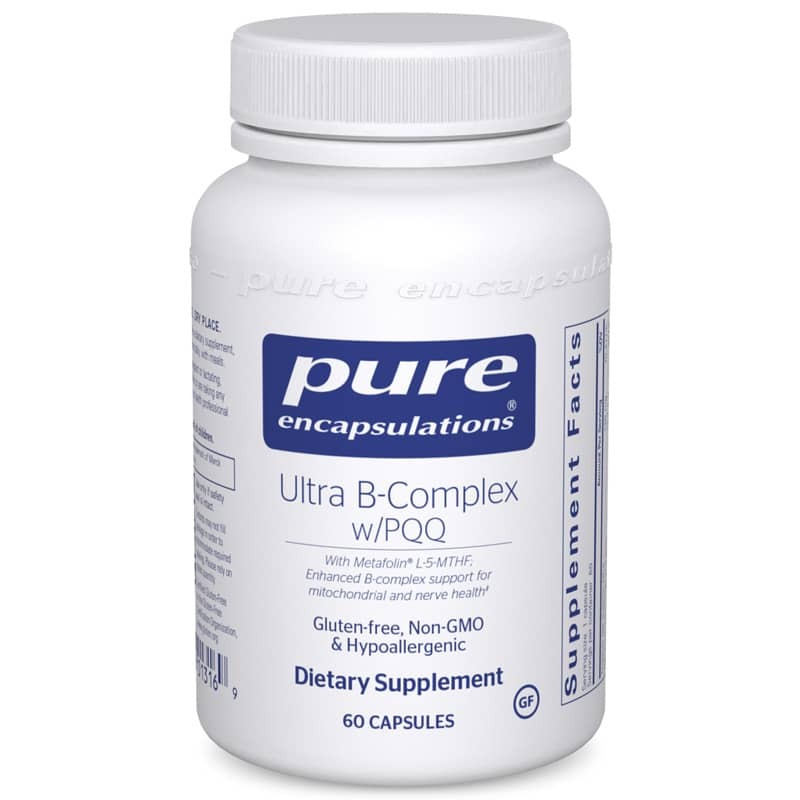 Ultra B-Complex w/PQQ combines B-complex vitamins with PQQ for unique support of mitochondrial bioenergetics and function. TheB-complex vitamins are essential to basal mitochondrial function as metabolic coenzymes and methyl donors while PQQ provides novelB-vitamin like activity and advanced antioxidant support, in part by activation of key genetic transcription factors. Alpha lipoic acid provides additional support for mitochondrial energy utilization and combined with luteolin, offers enhanced nervous system antioxidant activity. Adults: As a dietary supplement, take 1 capsule 1-2 times daily, with meals. I have both genes of the MTFHR this is a great product.<br>I feel a huge lack of function, clarity and energy when I miss my daily dose.<br>I eat keto for mitochondrial health.